Flipkart and Amazon are preparing for the first round of festive season sales that will begin on October 10. Flipkart is even offering an early access to Flipkart Plus subscribers from October 9. Flipkart and Amazon are preparing for the first round of festive season sales that will begin on October 10. 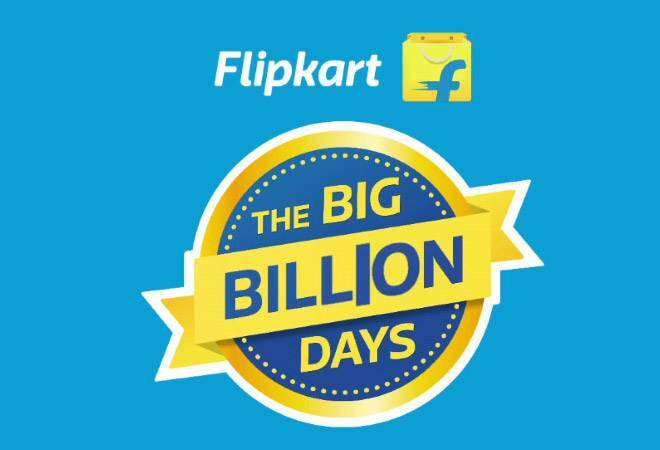 Flipkart is even offering an early access to Flipkart Plus subscribers from October 9. The company will also be launching their smartphone insurance plans in partnership with Bajaj Allianz. The e-commerce giant has calculated offers on the maximum retail price which could be misleading, considering the usual selling price of these smartphones. Here we have mentioned the discounts on popular smartphones on Flipkart that you should be aware of while making your wish list. The Redmi Note 5 Pro was Xiaomi's first take on dual-camera setup and the smartphone still holds up well against other smartphones in the segment. The phone will be selling at Rs 12,999 down from Rs 14,999. The Zenfone Max Pro M1 is available in three variants and with the discount in place, it will become the cheapest smartphone to feature a Snapdragon 636 chipset. Redmi 6 at Rs 7,999- The latest in the Redmi line-up was launched at a price of Rs 8,999 and Xiaomi had also clarified that the prices might be hiked if Rupee continues to depreciate. However, the company might go ahead with the hike after the festive season. Mi Mix 2 at Rs 22,999- Launched last year, the Mi Mix 2 is still one of the better-looking phones in the market. The Mix 2 features a premium design and Snapdragon 835, which should be potent enough for most of your processing needs. The Asus Zenfone 5Z held the title of 'cheapest smartphone with Snapdragon 845' for a long time before the launch of Xiaomi's Poco F1. With the new price tag, the device gives Poco a tough competition without sacrificing on screen quality or build quality. The Moto Z2 Force is selling at almost half the price of what it was offered during launch. Apart from the Shattershield screen, the phone also features last year's Snapdragon 835 and a dual camera setup. The phone will be selling with a substantial discount. The device features a display with a notch and is powered by Snapdragon 450. The Oppo F9 Pro is already selling at Rs 23,990 down from Rs 25,990. The smartphone comes with a futuristic water drop notch with a 25MP front-facing camera. The phone also comes with Oppo's trademark VOOC Flash charging that is almost at par with OnePlus' dash charge technology. However, the phone is powered by a MediaTek Helio P60 chip which is strictly mid-range. The Oppo F9 also comes with a similar notch on top but does not get the fast charging technology. The front camera is a 16MP unit with AI features. The F9 comes with the same FullHD 6.3-inch display and Meditek Helio P60 chipset. The Honor 9N is one of the most heavily discounted smartphone in the list. The smartphone also comes with a notch design on top and reflective back with a dual camera setup. It is powered by Kirin 659 octa core chipset. The Galaxy S8 was Samsung's flagship last year and still stands its ground well considering the price its being offered at. The device is powered by Exynos 8895 chipset which the equivalent to Snapdragon 835. The Quad HD+ display, Premium design and flagship camera make the phone a good deal for the price tag.